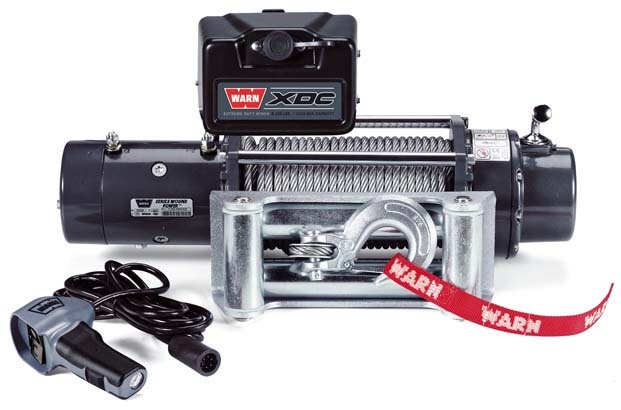 The fast, powerful XDC winch is designed for the serious off-roader who demands a winch that will perform under the most extreme conditions in the world. It has a compact shape to fit a wide-variety of bumpers. A 9,500 lb. (4,310 kg.) capacity rating and an extreme duty cycle deliver long, efficient pulls. Additionally, the XDC features a thermometric protection device to ensure long motor life by suspending winch operation if the motor's temperature becomes elevated beyond its normal operating range.